Home >> Our Blog Can Developers Help Generate More Traffic to Your Site? 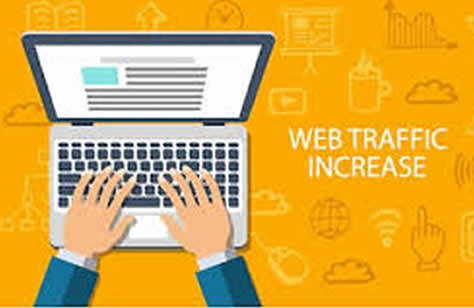 Can Developers Help Generate More Traffic to Your Site? When it comes to generating traffic to your website, most people focus on SEO. With SEO, keywords are used to bring people into your site based on what they are searching for. However, there are other ways to generate traffic. Website owners today are using tools created by themselves or from developers to generate more traffic. Getting to know such tools and utilizing them can help to bring about more traffic to your website. One tool that is being used more and more today is known as Ubersuggest. This tool is an SEO option that performs a keyword search. With this tool, you do not have to be a developer yourself to use it. You simply follow easy to understand steps. Easily find keywords related to search words that can be used at your site to generate traffic. This free available tool has many benefits including the ability to find new ideas. By using the tool, you can get new ideas from the keywords you type in. You can also expand searches further to have access to even more ideas. By having a fresh perspective on words you can use for your site, you can use the developing tool to create new content for your website. You can increase the traffic in your site by paying a developer to create free tools you can use. This will cost you much less than paying a marketer to do the work for you. By utilizing tools like Ubersuggest or having a developer create something simple that you can use to generate more traffic to your site, you have the ability to watch as your page grows on a consistent basis. Learn more about such tools and even meet with a developer to see how collaborating can be beneficial. Learning more help you to see the advantage of tools that you can use for further traffic development.